Traditional financial systems often get mocked for being slow. In North America, for instance, securities markets have recently switched from T+3 to T+2 settlement. Before, if you sold a stock the cash would only appear in your account three days after the trade—now settlement has been moved to a blazing fast two days. In an age where mail is transmitted in milliseconds, this delay seems terribly old fashioned. Or take automatic clearing house (ACH) payments in the U.S. Earlier this month the ability to make same-day ACH debit payments was rolled out, an improvement over the three or four days they used to take, but still no where near immediate. The snail-like pace of securities and ACH settlement is often contrasted to real-time settlement, say like how payments using banknotes, coins, or bitcoins are finalized the moment the token leaves ones wallet and enters the destination wallet. Or take real-time gross settlement systems operated by central banks, over which a transfer of balances from one account to the other occurs instantaneously and is irrevocable. In the case of securities settlement, why only go from T+3 to T+2? Why not go straight to T+0? Don't be beguiled by settlement speed. Slow isn't necessarily a bug—it's often a feature. Imagine the following scenario. You and your friends play poker every day at a cafe. To buy into the game, cash or bitcoins are required. And at the end of each game, cash or bitcoin is paid out to the winners. The problem with this system is that each day all players have to lug a transactions medium to the cafe and back from it—and this involves a sacrifice. Banknotes and coins take up lots of space and can be easily stolen. Like bitcoin, they don't yield interest—so a stream of interest income is being foregone to play poker. Once the game is done, the laborious process of counting out cash and banknotes occurs. In the case of bitcoin, the payouts are costly since each one involves incurring a fee to send bitcoins from one wallet to another. Participants in financial markets have adopted a time-tested strategy to avoid much of the work involved in repetitive use of transactions media like cash: substitute them with IOUs that are only settled from time-to-time. Returning to the poker example, rather than stumping up cash each game players can buy-in using IOUs denominated in cash or bitcoin. These IOUs are recorded in a ledger. Rather than cashing out at the end of the game each player's balance is held over to the next day, only to be updated subject to that day's results. These ledger balances continue to be updated at the close of each game until after (say) the tenth game, everyone finally decides to settle their accounts, upon which all debtors, or losers, bring cash and/or bitcoin to the cafe to pay off winners, or creditors. The system has settled—not in real-time—but T+10. The advantage of delayed settlement is that quid pro quo is achieved with one set of transactions conducted at the end of the 10-game cycle rather than a set of transaction for each game. No more tedious counting out coins each day or daily bitcoin fees. Because the obligation to carry around cash is kept to a minimum, interest income needn't be sacrificed by players. Nor are there any nuisances of storing cash. While slowing down the system reduces the amount of work that must be done, it comes at the expense of flexibility and safety. One of the benefits of a cash payment is that transactions media are immediately available for use in subsequent transactions. If a player can only get cash out of the game after ten games, they will have to be sure that they don't need that cash for other payments in the interim. Slowing down the system also introduces credit risk into the system. Players may be unable or unwilling to honor their IOUs at the end of the cycle. Lengthening the cycle only increases the odds of settlement failure due to insolvency or bankruptcy. If the benefits that your friends expect to harvest from delaying poker settlement—the reduction in work and fees—outweigh the aforementioned costs, then a T+10 system makes a lot of sense. Keep this in mind whenever you encounter a real-life financial transaction like an ACH payment that takes a long time to settle. 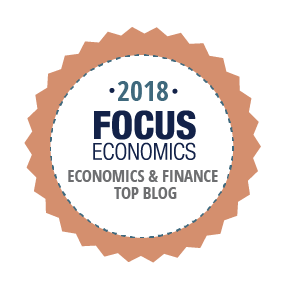 The system's sluggishness may be designed that way because the conservation of work and transactions costs outweighs the inconveniences of not having immediate availability of transactions media and exposure to credit risk. Even the bitcoin ecosystem has adopted various forms of delayed settlement. Thanks to high fees and long wait times, Bitcoin companies have been avoiding direct exchanges of bitcoins among each other in favor of netting out bitcoin-denominated IOUs, says Izabella Kaminska, only settling net amounts after some time has passed. And Bitcoin developers are working towards introducing something called the Lightning Network, which will allow users to make payments using fully-backed bitcoin depository receipts rather than having to settle trades directly on the blockchain using regular (and peskily-slow) bitcoins. Let's finish off by revisiting the recent shift from T+3 to T+2 securities settlement in the US and Canada. Interestingly, if you zoom out you'll see that over time the New York Stock Exchange shows a predominant tendency to lengthen the settlement cycle, not shorten it. The recent move to T+2 only brings the exchange back to the same settlement speed at which it operated at from 1933 to 1952. Prior to 1933, next-day settlement, or T+1, had been standard. 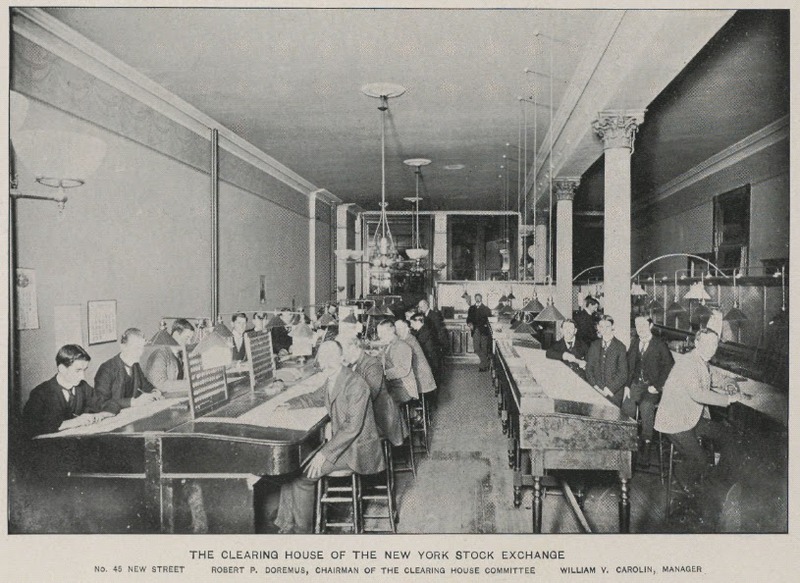 The lengthening of the cycle to T+2 in 1933, which corresponded with an increase in stock trading volumes, was implemented to "ease the work" of brokerage clerks. Back then all securities were recorded in physical form, so settlement required the transportation by hand of certificates from one office to another by an army of runners. In the face of growing trade volumes, the only way to maintain T+1 settlement would have been to do much more work, which meant hiring more clerks and runners—costs that would be offloaded onto clients. Slowing down the system to T+2 from T+1 presumably would have kept things cheap. The 1968 switch to T+5 settlement was an effort to cope with the famous "back office crisis." Investors who were too young to remember the Great Depression had begun to arrive in droves to equity markets in the early-60s. Back office clerks could not keep up with amount of work required to settle trades. At one point the NYSE even closed on Wednesdays to help deal with the backlog. The recent move back to T+2 means that cash will appear in investors' accounts 24 hours earlier, making it easier for them to meet subsequent payments deadlines. Credit risk is reduced too. Brokers conduct trades with other brokers on behalf of their clients, building up credit and debits over the settlement cycle. The shorter the cycle, the quicker these debts will be unwound by transfers of stock and cash, the resulting savings hopefully flowing through to customers. Why not go straight to real-time, or T+0? The move from T+3 to T+2 means one less day over which brokers can 'net out' their respective debits and credits so as to conserve on transactions costs. T+0 means no netting-out window whatsoever—and that would impose a terrific amount of work on the system. Like I say, it's a trade-off. Real-time settlement is no panacea. Narendra Modi's demonetization scheme, which involved the sudden cancellation of all ₹1000 and ₹500 rupee notes, was designed to hurt those in the underground economy who had stashed away large amounts of cash. But many smaller cash users got caught up in the blast radius. Has Indian behaviour surrounding cash changed? More specifically, what long-term impact has the painful demonetization process had, if any, on the population's preferences for holding cash? Luckily for us, we have a great data set for evaluating this question: the supply of currency in circulation. If the propensity of Indians to hoard notes has changed, we'd expect to see a long-term reduction in currency outstanding relative to trend. Before we take a look at the data, I want to make one point on the economics of paper money. The old phrase "cranking up the printing presses" is a bad one because it implies that central bankers play an active role in deciding the quantity of paper money in the economy—they don't, their role is purely passive. At any point in time the stock of paper money in circulation has been determined by the decisions of the public. If people feel they need more notes, they'll go to their bank and withdraw them, the bank in turn submitting a request to the central bank to provide more. The job of a central bank is a simple one: react to the public's desire by printing new notes, or—in the case of a decline in demand for paper currency—withdrawing them. While the stock of notes is always a reflection of people's preferences, there are a few exceptions. If there is a sudden spike in the demand for banknotes, and the central bank's printers can't keep pace, the public's desire for more paper will be temporarily frustrated. This frustration is exactly what occurred in India in the months after demonetization. A whopping 85% of the nation's notes were suddenly cancelled. Indians needed to get their hands on replacement notes in order to move back to their preferred holdings of cash, but the RBI didn't have the printing capacity to meet this demand. Lineups at banks and ATMs grew, and withdrawal limits were imposed, a sure indication that the quantity of paper rupees in circulation was not consistent with Indian's preferences. With 315 days having passed since demonetization was announced, has the RBI finally caught up to the public's desired stock of cash? I'd argue that it has. If we go back to this post by James Wilson, he calculates that—given various assumptions about the number of presses brought on line and shifts per day—all demonetized ₹500 would be replaced by as early as mid-June and late as mid-September 2017. We have now passed the later of the two dates. While currency in circulation consistently grew from mid-December 2016 onward, consistent with a dearth of paper money, it finally had its first week-to-week drawdown in July 2017, followed by several since then. The Indian public would only have returned currency to their banks if their collective demand for currency was finally satiated. 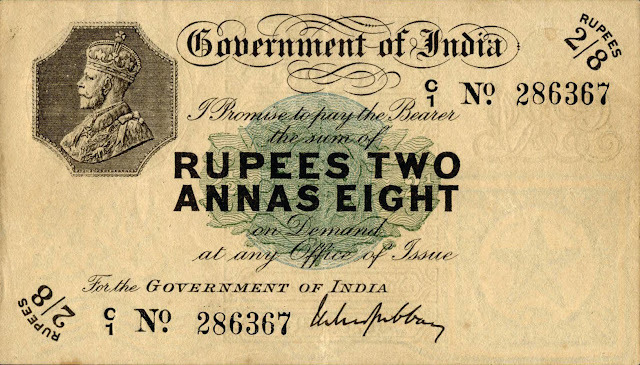 If there was still a structural deficiency in the supply of notes, they would have kept these notes in their wallets rather than bringing them in. The point of all this is to show that current data on the stock of rupees represents the true preferences of Indians, not RBI printing constraints. So let's take a closer look at the data itself. Prior to demonetization, India's currency supply had been consistently growing at around 15% a year, as represented by the black trendline below. In September 2016, just two months before demonetization, Indians had collectively chosen to hold ₹17.5 trillion in cash (around US$272 billion). If there has been no change in cash-holding behaviour then the pre-demonetization growth path of 15% should still be in effect. If so, from a post-demonetization low Indians would have rebuilt their cash holdings to a trend amount of ₹20 trillion today. Instead, currency in circulation clocks in at just ₹15.8 trillion, around ₹4.2 trillion (or US$65 billion) less then the counterfactual. So demonetization has certainly modified the cash-using behaviour of Indians. Their fingers burned, they have decided to hold just 75% of what they would otherwise have in their wallets had demonetization never occurred. It remains to be seen if this is a one-time change in the level of currency in circulation or whether the 15% growth rate itself will be permanently modified. In other words, from this point on growth in cash can either continue to grow 15% from a lower base of ₹15.8 trillion, or a new rate of growth might emerge, say 5-10%. Demonetization will have been a more effective cudgel if it succeeded in changing the actual rate of growth, not just the level. One wonders what filled the ₹4.2 trillion void. Has the cash-using public decided to hold a larger stock of state-sanctioned digital money (i.e. mobile money balances and bank accounts) or have they simply chosen to swap one form of anonymous "black money" for another (i.e. cash for gold, diamonds, real estate)? I've gathered some data showing that at least some of the gap is being filled by the former. The above chart shows that the number of point-of-sale (POS) terminals installed has experienced a one-time shot to the arm after last fall's demonetization announcement. The other two charts show that the value of POS transactions using debit and credit cards moved to a new and higher plateau, as did mobile wallet payments (like Paytm). It is notable that transactions using these methods are not returning to their previous levels (although this is from a relatively small base) indicating that these payments options weren't mere fill-ins during the cash shortage period, but have enjoyed a permanent increase in adoption. Given that these new forms of digital payment are doing much more "work" as media of exchange, it probably makes sense to assume that they have captured at least some of the substitution out of cash. So demonetization has certainly changed Indians' attitudes to cash. They like the stuff a bit less than before and are holding fewer bills in their wallets. This change might seem like an inevitable one, but at the time demonetization was announced it was by no means certain that it would have any effect whatsoever on tastes for paper money. Whether these effects justify the whole affair is a much more complex question. P.S. You can also tell a story in which demonetization caused a depression in India's informal economy, and since economic activity in this sector plunged people had less demand for notes. So contrary to everything I wrote above, a one time change in preferences for alternative forms of money over cash didn't occur--people simply need less of the stuff because there are fewer transactions to be made. I don't doubt that demonetization hurt the informal economy, but I am skeptical that it would have led to a 25% reduction in cash usage. I think the changing-of-tastes story explains the data better. If the world had a single cauldron for mixing various monetary phenomena, it would be Zimbabwe. Over the last two decades, it has experienced pretty much everything that can happen to money, from hyperinflation to deflation, demonetization to remonetization, dollarization and de-dollarization, bank runs, bank walks, and more. Adding to this mix, the Zimbabwe Industrial Index—an indicator of local stock prices—has recently gone parabolic, having more than tripled over the last twelve months. That's a good sign, right? Beware, these gains aren't real. 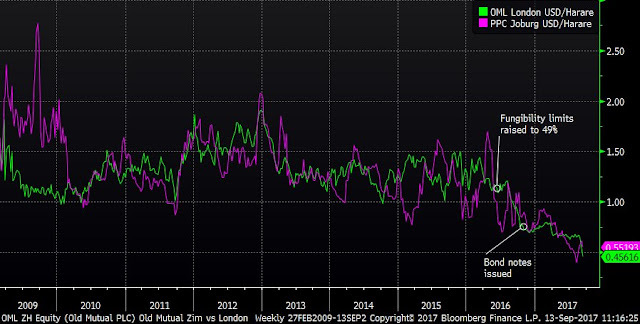 As is often the case in Zimbabwe, the rise in stock prices is a purely monetary phenomenon. Ever since the great Zimbabwean hyperinflation led to the domestic currency becoming worthless in 2008, U.S. dollars have served as the nation's currency and unit of account. However, Zimbabwe's central bank, the Reserve Bank of Zimbabwe (RBZ), has spent much of the last two or so years surreptitiously bringing a new parallel monetary unit into circulation. These new units, informally referred to as RTGS dollars, are a digital form of money, specifically a deposit held at the central bank. (I described them here). At the outset, RTGS dollars were denominated in U.S. dollars and supposedly convertible into genuine U.S. banknotes. We now know these units were only masquerading as U.S. dollars. By early 2016, huge lineups began to appear outside banks as Zimbabweans unsuccessfully tried to convert their deposits into real U.S. cash. When conversions finally became possible it was only because the RBZ had introduced its own paper currency, a 'bond note', in late 2016. These bond notes were themselves supposed to be fully fungible with U.S. dollars thanks to a promise of 1:1 convertibility, at least if you believed the nation's central banker, but this has never been the case. 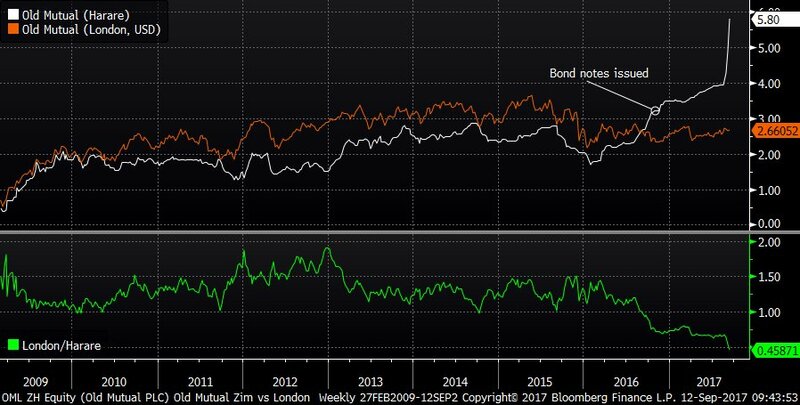 Over the last year a great redenomination has been occurring as all Zimbabwean prices—including that of ZSE-listed stocks—are shifted over from a genuine U.S. dollar standard to an RTGS dollars/bond note standard. Prior to 2016, if you sold a stock or received a dividend, you'd get U.S. dollars, or at least a pretty decent claim on the real thing. Now, you get RTGS dollars—which can only be cashed out into an equally dodgy parallel currency, bond notes. The incredible 300% rise in the Zimbabwe Industrial Index is a reflection of the redenomination of stocks into an inferior monetary unit and that unit's continued deterioration. For instance, if you were willing to sell your shares of Delta Brewing for $10 prior to the redenomination, you'd only be willing to sell them at a much higher level post-redenomination, say $15, in order to adjust for the diminished purchasing power of the money you'll receive upon sale. RTGS dollars are not U.S. dollars. After adjusting the Zimbabwe Industrial Index for the decline in the value of the money in which stocks are denominated, things certainly wouldn't look as bullish as the chart above indicates. What is the actual exchange rate between RTGS dollars/bond notes? We can get a pretty good idea by looking at the prices of dual-listed shares. The shares of Old Mutual, a global financial company, trade in both Harare and on the London Stock Exchange. See chart below, courtesy of Gareth on Twitter. Old Mutual investors have the ability to deregister their shares from one exchange and transfer them for re-registration on the other. Arbitrage should keep the prices of each listing in line. After all, if the price in London is too high, investors need only buy the shares in Zimbabwe, transfer them to London, sell, and repurchase in Zimbabwe, earning risk-free profits. If the price in Zimbabwe is too high, just do the reverse. The ratio of the two Old Mutual listings (the green line above) provides us with the implicit exchange rate between genuine U.S. dollars and dollars held in Zimbabwe. In 2009 the two listings traded close to parity (i.e. around $2 each), which makes sense because Zimbabwe had dollarized by then, and dollars-in-Zimbabwe were fungible with regular dollars. From 2010 to 2016 the dollar-denominated price in London was above the price in Zimbabwe. This discrepancy may be due in part to the fact that Harare-listed Old Mutual shares aren't very liquid, so they suffer a liquidity discount. Another reason is that the authorities place a ceiling (i.e. fungibility limits) on the number of Old Mutual shares that can be deregistered from the Harare market and dropshipped into London. With all of the space under the ceiling having presumably been used up, it would have been impossible to arbitrage the difference between the two prices, the Harare counter falling to a permanent discount. So the Old Mutual ratio was probably not a good indicator of the implicit exchange rate between 2010 and 2016. However, in June 2016 this ceiling was raised, at which point arbitrage would have once again been possible. As such, the ratio would have probably returned to providing a decent indicator of the exchange rate between a dollar-in-Zimbabwe and a genuine dollar. You can see that Old Mutual is currently valued at $5.80 in Zimbabwe whereas it only trades in London for around $2.66 per share (after converting from pounds into US dollars). This means that Zimbabweans are willing to put $5.80 in one end of the sausage maker in order to get $2.66 out from the other. So a dollar-in-Zimbabwe, which was trading at par to U.S. dollars just two years ago, is now worth just 46 cents. That's quite the inflation rate. I don't see things slowing down, either. P.S. : Some investors will no doubt want to say the same thing is going on with the US and Europe with loose monetary policy creating so-called asset price inflation. I disagree. P.P.S: Gareth has provided another chart. It shows the implied exchange rate between dollars-in-Zimbabwe and genuine U.S. dollars using the only other fully transferable dual-listed counter, PPC, a cement company that is also listed in Johannesburg. Note how close the PPC rate follows the Old Mutual rate. Data on the world's biggest monetary event of the 21st century—Narendra Modi's demonetization—continues to trickle in. The Reserve Bank of India's just published its annual report (pdf) and I'll just say this straight out—I'm genuinely surprised. Out of the ₹15.44 trillion in paper currency that was demonetized by Modi last November, ₹15.28 trillion, or 98.96%, have been returned. My guess would have been that a much smaller proportion of India's monetary stock made it back to the RBI, maybe 92-95%. A glance at the stranded notes counts from a the euro changeover provides some context. When the Euro was introduced in January 2002, people were given fixed windows of time to redeem existing national banknotes before their money status was revoked. In the case of the Italian lira and French franc, individuals had till December 2011 and February 2012 respectively to bring in their notes for euros. By the time this ten-year exchange period was over, 99.15% of Italian lira had been returned while 98.77% of French francs made it back. Much of the unreturned 1% would have been withheld by the collecting community, the rest either being lost, buried, burnt in fires, or destroyed in floods. Whereas the French and Italians had years to diligently round up old notes before the window closed, Indians only had few weeks, the final day for exchanging being December 31, 2016. Yet even with this much smaller window, Indians were able to bring in greater portion of the outstanding money supply than the French did in ten years. Impressive. Are Indians just great at locating things? Or is something else to explain? The skeptic in me wonders how many counterfeit rupees managed to make it passed the RBI's gatekeepers. No central bank can perfectly screen for fakes—so if the RBI mistakenly accepted a greater proportion of counterfeits than the Bank of France did, then the return rate on rupees would have been artificially improved relative to that of francs. But I'm just speculating. What makes the final 98.96% return rate even more incredible is that, unlike the European demonetizations—which allowed unlimited, no questions-answered redemption—the Indian demonetization imposed per-person ceilings on the amount of rupees that could be freely converted into new paper rupees. Anything above the ceiling had to be deposited into a bank account i.e. individuals would be de-anonymized and potentially investigated. Yet even with the imposition of such a severe threat, a greater portion of rupees were redeemed in the waning days of 2016 than French francs during the entire 2002-2012 period. Jugaad, or Indian ingenuity, is one of the explaining factors. Even though they had just a few weeks, Indians who had large quantities of illicit cash were able to contract with those who had room below their ceiling to convert illicit rupees on their behalf, thus evading Modi's blockade. This was money laundering on a grand scale. There is a second explaining factor for the high return rate. Two weeks after the initial demonetization announcement, the government introduced a formal amnesty for demonetized banknote holders. Any deposit of cash above the ceiling would only be taxed at 50%, assuming it was declared. If not declared, the funds might still get through the note blockade undetected, although if apprehended an 85% penalty was to be levied. These new options were better than throwing away one's stash altogether and suffering a sure 100% loss, so previously reticent citizens would have flocked to bring their notes in, even if they had been amassed illicitly. Demonetization was designed to provide a "national dividend" of sorts. If just 90% of the demonetized rupees had made it back to the central bank, the remaining 10% would have been written off, the one-time profit providing a massive $24 billion dividend to all Indians (participants in the underground economy being the folks who funded this subsidy). Does the higher-than-expected 98.96% return rate for rupees mean that Modi's demonetization has failed as a mechanism for redistributing funds from large participants in the underground economy to the rest of the Indian population? Is the national dividend void? Not at all. As I wrote above, many of the demonetized rupees that have made their way back into the system were deposited into bank accounts. Some depositors will have sought shelter under the 50% amnesty. For the remainder, authorities will be following the paper trails left by deposited currency over the next few years and, if warranted, levy a tax on these deposits. This is a more cumbersome way to collect a tax than stranding banknotes because it requires investigating each suspicious deposit and potentially prosecuting the depositor. It remains to be seen how successful the Indian authorities will be in collecting this tax. Jagdish Bhagwati explains this all in far more detail here. Remember the ingenuity that Indians used to escape the ceilings that were imposed on them? This was also a form of redistribution. Rich Indians would have paid poor Indians—who had plenty of room under the ceiling—a fee to deposit notes on their behalf, say 25%, or ₹250 on a ₹1000 note. Together, all of these fees would be very much like the national dividend described in the above paragraphs. Except rather than the tax being collected by the authorities and then paid out as a dividend, it would have been collected directly by Indians themselves. If $25 billion was laundered in this way, and an average fee of 25% charged, a $6.25 billion dividend would have been collected by poor Indians from rich ones. In summary, a large chunk of stranded rupee notes would have provided the 'cleanest' way of taxing to fund the national dividend. However, the fact that very few notes were stranded doesn't mean there will be no national dividend whatsoever.